Originally from Europe, bilberry has its roots in traditional medicine since the early 16th century. 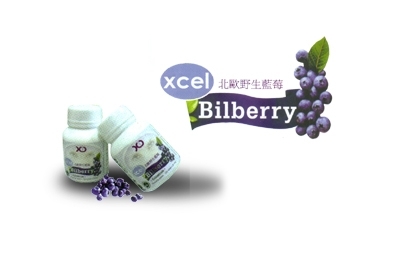 From ancient times,people with poor vision has chosen to take bilberry from Northern Europe. Furthemore, the Tufts University in America has discovered that bilberry has emerged tops for antioxidant levels in a study of 40 types of fruits and vegetables. Bilberry is capable of reducing toxins from the body. Apart from its ability to nourish eyes, bilberry is alsoknown to exert a protective effect on the heart, reduced the loss skin moisture,prevent ageing,lighten dark circles and diminish eye bags. Bovine Colostrum is derived from the milk of cows acquired within 48 hrs upon giving birth. It contains abundant of immune boosting factors (immunoglobulins), growth factors, vitamins, minerals and amono-acids that boost body's natural defense systems in the achievement of optimal health and well being. A common liver tonifier that promotes eye sharpness helps repair liver damages and control blood pressure. Lutein is part of the carotenoids family, and it co-exists with zeaxanthin. It is found in many colorful fruits and vegetables. One research from Havard indicates that higher dietary intake of lutein is associated with lower risk of developping age-related macular degeneration and cataracts. Also, it is responsible in preventing cardiovascular disease, atherosclerosis and degeneration due to aging. 2 tablets daily for children. 4-8 tablets daily for adult. Store in a cool, dry place. It is best kept refrigerated once open.